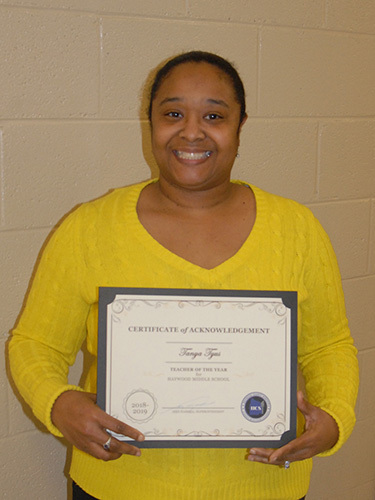 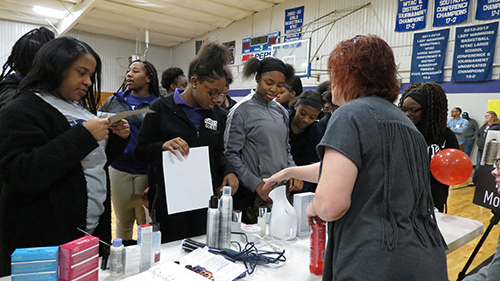 Haywood County GEAR UP TN hosted a College and Career Fair at Haywood Middle School on March 22 for eight-grade students. 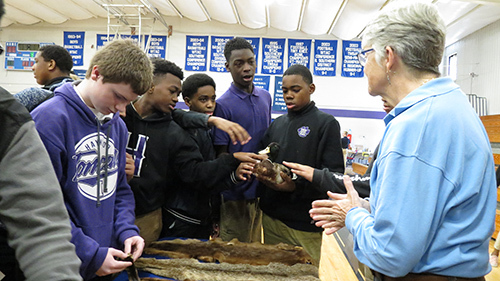 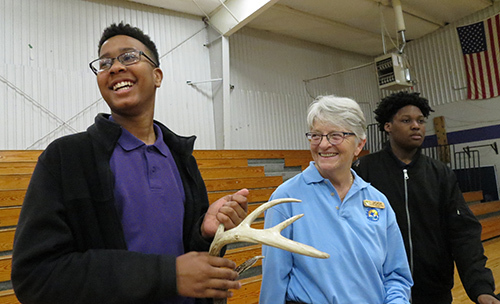 The event brought exhibitors to the middle school gym for over 200 students who participated in the event. 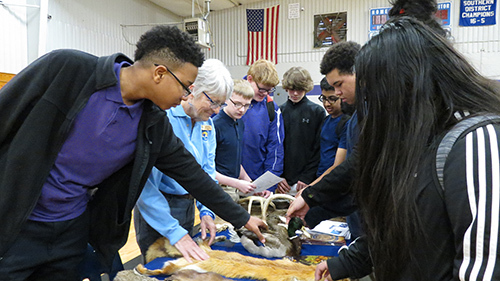 Students walked through the fair and were able to speak with representatives about their careers, salaries, and training in the fields. 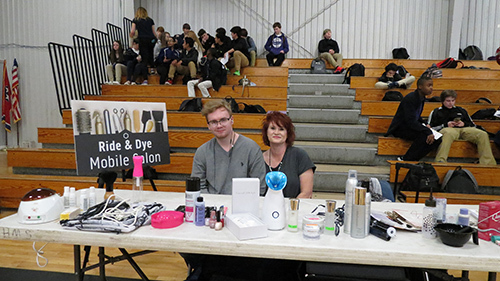 Exhibitors included the Haywood County Ambulance Authority, Haywood County Health Department, Sonja Thompson’s “Ride and Dye” mobile salon, the National Wildlife Refuge System, and the Tennessee College of Applied Technology in Ripley.